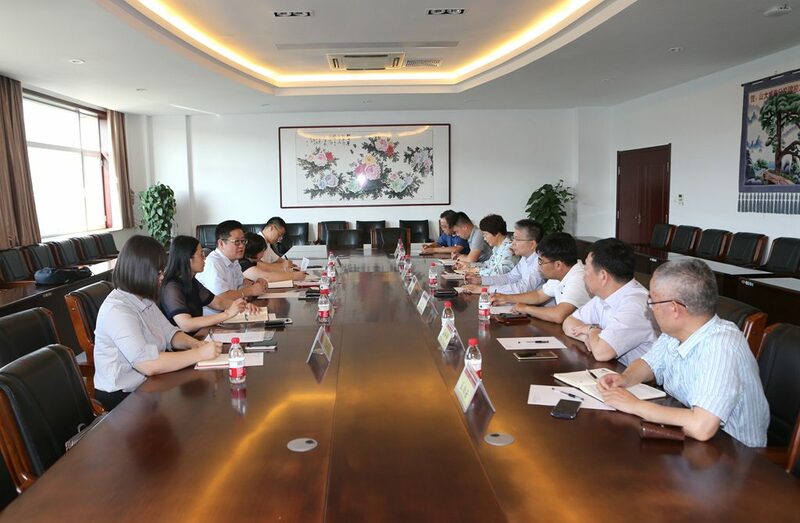 On 3rd of July, President of AEMG, Mr. Roger LI, Director General Ms. Jenny WANG, Executive Director of AEMG Faculty (China), Joyce XU, and Director of Global Engagement and Partnership Department, Elroy DUAN visited Shandong University, Weihai. They were warmly welcomed by President of SDUW, Prof. Jianya LIU, Vice President, Prof. Kainan HUANG and the representatives of relevant departments. During the following meeting, the two parties had in-depth discussion on the existing collaborative programs and the potential collaborative programs and reached a broad consensus. Prof. LIU Jianya showed his appreciation to AEMG for our great efforts to their collaboration with oversea universities and hoped to continue working with us in more fields. The visit further enhanced the partnership between AEMG and SDUW, and laid a foundation for the management and cooperation in the future.